PT Indonesia Power - PT IP more popularly called "Indonesia Power" is a well-established electricity power company in Indonesia with core business competencies on electricity power generation. Indonesia Power is a member of state-owned electricity giant PT PLN (Persero). At present, PT Indonesia Power is 99.99% owned by PT PLN (Persero) and 0.1% owned employee cooperative in PLN. Indonesia Power is widely known nationwide as one of the largest electricity power generation companies in Indonesia with installed total electricity power capacity of 13,797 MW. Indonesia Power runs its business through 5 Generating Units (GU), 3 Generating and Generating Service Units (GGSU), 1 Maintenance Service Unit (MSU), and 6 Generating Service Units (GSU) spread actoss Indonesia. As of December 2015, PT Indonesia Power supported by 5 directly-owned subsidiaries; PT Artha Daya Coalindo (60%), PT Cogindo Daya Bersama (99.99%), PT Indo Ridiatama Power (86.4%), PT Tangkuban Parahu Geothermal Power (95.2%), and PT Putra Indotenaga (99.99%). The Company also supported by 1 joint venture company (PT Perta Daya Gas, 35%), 1 associate company (PT Indo Pusaka Berau, 46.53%), and 1 sub subsidiary company (PT Rajamandala Electric Power, 51% shares held by PT Putra Indotenaga). 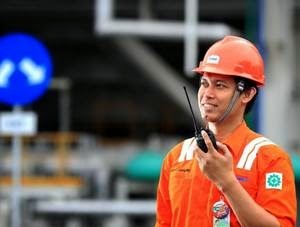 In term of financial performance, PT Indonesia Power has shown significant performance improvements in 2015. Indonesia Power booked total net income of Rp 4.68 trillion in 2015, according to PT Indonesia Power Annual Report 2015 as quoted by JobsCDC.com. This total net income figures experienced an increase of 184.08% as an impact of assets revaluation. Energy Conversion, Design Mechanical, Industrial Mechanical, Tools Machinery, Shipping Mechanical, Metallurgy, Mechanical and Machinery Design, Industrial Engineering, Heavy Equipment Mechanical Engineering Studies, Aeronautics Engineering, Energy Conversion Conservation Engineering, Manufacture Engineering, Material Engineering, Mechanical Engineering, Automotive Mechanical Engineering, Maintenance Mechanical Engineering, Maintenance and Repair Mechanical Engineering, Production Mechanical Engineering, Production Mechanical Engineering and Maintenance, Metallurgy and Material Engineering, Manufacturing Design Engineering, Production Engineering, Production and Manufacturing Process Engineering, Industrial Mechanical Technology. Electricity Power System Analysis, Power Lines, Industrial Electrical, Electrical Electricity, Energy, Shipping Electrical, Power System, Electricity Power System, Electrical Engineering (Power Lines), Industrial Electrical Engineering, Control Electrical Engineering (Power Lines), Electrical Power Engineering (Power Lines), Electricity Engineering, Control System Engineering (Power Lines), Power Systems Engineering, Electricity Power Engineering. Majoring in one of these majors : Electronics, Electronics and Instrumentation, Electronics and Instrumentation (Teknofisika), Physics Instrumentation, Mechatronics, Automation, Electronics Engineering, Electronics and Control Engineering, Industrial Electronics Engineering, Physics Engineering, Instrumentation Physics Engineering, Control Engineering, Mechatronics Engineering, Metrology and Instrumentation Engineering, Industrial Automation Engineering, Electrical Engineering (Power Weak), Control Electrical Engineering (Power Weak), Electricity Power Engineering (Power Weak), Control System Engineering (Power Weak). Majoring in one of these majors : Business Administration, Office Business Administration, Logistic Administration, Public Administration, Commerce Administration, Commerce Administration and Secretary, Office Administration, Corporate Administration, Administrative Sciences, Business Administration Sciences, Commerce Administration Sciences, Secretarial, Secretary and Office Administration, Administration Management, Business Administration, Marketing Management, Secretary, Industrial Management. Majoring in one of these majors : Communication Sciences, Public Relations, Mass Communication, Broadcasting. Majoring in one of these majors : Finance Administration, Tax Administration, Accounting, Finance Accounting, Finance, Accounting Management, Finance Management, Finance and Banking Managament, Tax Management, Taxation. Male for DME, DEL, and DIC. Male/Female for DAD, DCO and DAC. Politeknik Elektronika Negeri Surabaya (PENS). Politeknik Negeri Ujung Pandang (PNUP). Birth in 1995 and thereafter. Enclose Certificate Students expelled from the campus as well as the transcript of the previous semester. Student Certificate issued by the campus uploads the data in column diploma in education. Able to pass no later than end of August 2017. Grade point average (GPA) of the current > 2.75 and able to pass with minimum GPA 2.75 (scale 4.00). JobsCDC.com now available on android device. Download now on Google Play here. Please be aware of recruitment fraud. The entire stage of this selection process is free of charge. PT Indonesia Power - Recruitment Final Year Student Program PLN Group April 2017 will never ask for fees or upfront payments for any purposes during the recruitment process such as transportation and accommodation.